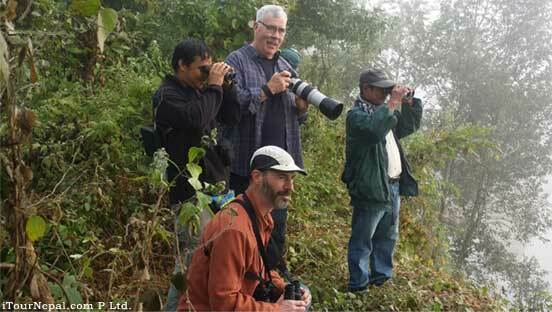 Nepal birding & bird photography tour w/ bird watching in Chitwan, Koshi Tappu & Bardia. Nepal is blessed with a vast array of exceptionally rich bird life with total of over 850 species recorded. A diverse topography and climate has resulted in a variety of habitats within the country, which are home to over 10% of the Worlds total bird population. Nepal is a paradise for the birdwatcher. From the lowland jungle of the Terai and the Koshi Tappu barrage through dense rhododendron and Oak forest of the middle hills to the windswept plateaus of the high Himalaya there is always something to keep one twitching. 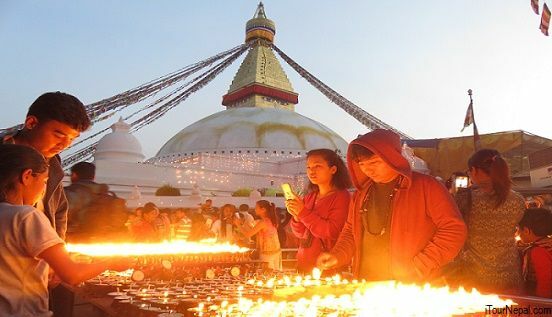 USD 1080 Only for 10 day Nepal bird watching tour. Guide birding tour with all entrance fees. Customize bird watching activities in Chitwan national park with all meals included. We organize special custom made bird watching tour in Chitwan National Park. The package is based in safari lodge at the undisturbed location, right next to Chitwan National Park. You can observe hundreds of bird species in the resort’s garden itself. Our local bird watching guides have the latest information about the birds habitat and behaviour. Bird watching tour of Chitwan could be customized from 3 days to 6 days or longer..
Day 2 - 3: Birding and wildlife tour by jeep and walking. We will visit the eastern part of Chitwan National park where three different types of hornbills resides. This part of the Chitwan national park is pristine and has more chance of seeing Tiger and other wildlife. Canoe ride along the Rapti river is the best way to watch aquatic birds and migratory birds. Two different species of crocodiles; Marsh Mugger and Gharial are found in Chitwan. Walk back through the Jungle and enjoy the elephant bathing. After lunch drive to Gharial breeding center and museum at the National park headquarter and some more birding in the jungle. Day 4: On the day, we will drive to western part of the Chitwan national park. Western part of Chitwan is bit touristic but the bird sighting is great. We will visit Vulture breeding center on the way. In the late afternoon take a jeep safari in Kumroj forest. Overnight in Safari lodge. Day 5: On the day we will go with pack lunch to the 'Lake twenty thousand and Kumal Lake' area for more birding and come back in the evening. Day 6: Birding in the morning and later drive or fly back to next destination. Within the Kathmandu valley alone, over 500 species of birds have been recorded. The surrounding hills offer a varied ecology ranging from primary and secondary forests to rhododendron, oak and pine forests. In addition, the wetlands and open fields in the outskirt make up a diverse habitat for many species of birds. 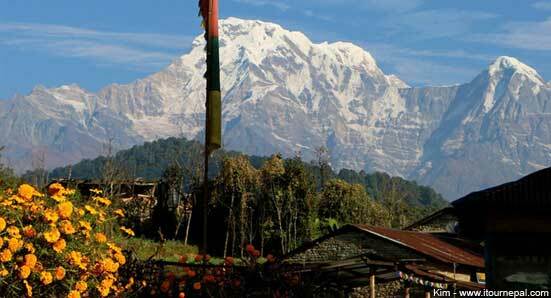 Situated 11km north of Kathmandu, Shivapuri national park is another best birding site around Kathmandu. Nagerjun Forest on Jamacho hill is situated 5 km from Kathmandu on the way to Kakani from Balaju. It is a renowned sight for bird enthusiasts with blue magpies, kalij pheasants, Bonelli’s eagles, great Himalayan barbets and many species found here. The tour is designed for those with limited time. There are resorts in the outskirt of Shivapuri National park, Godavari botanical garden / Phulchowki with natural ambiance for birding as well as Himalayan scenery. Write us to customize birding trip around Kathmandu. The Birding tour of Nepal is perfect holiday for bird lovers. 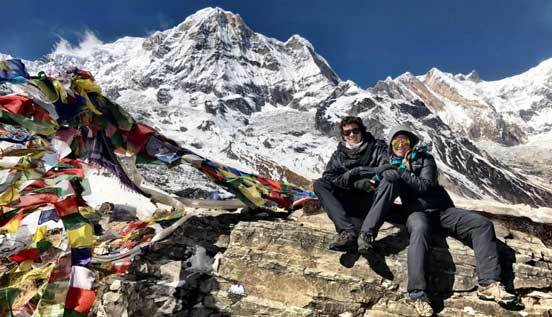 The tour is combination of wildlife and culture and Himalayan scenery. The tour could be customized within your available time, interest and budget. As a sustainable tour company, we make it possible to do birding tour or bird photography tour for individuals as well as small group in the most cost effective way. Write us to customize Nepal Birding Tour. Day 02: Birding in Godavari botanical garden and Phulchoki jungle. Overnight in Kathmandu. Day 03: Drive 8 hrs to Koshi Tappu Wildlife reserve. Overnight in tented camp. Day 04-05: Guided bird watching walk and boating. Boating in Koshi River to watch aquatic birds and fresh water dolphin. Guided walk along the forested Koshi River bank. Day 06: Drive to Chitwan National park. Check in safari lodge and dinner. Day 07 - 08: Safari activates focused on bird watching. We will explore different part of Chitwan national park looking for different species of birds. Jeep safari, walking and also use our car to drive to different marsh, grassland, Sal forest and riverine forest. Day 09: Drive to the UNESCO Heritage site Lumbini, the birth place of Lord Buddha. The pretected. Visit the Vulture breeding center. Day 10: The 2 X 6 km area of Lumbini development zone is also a bird sanctuary. visit the Crane sanctuary of Lumbini to watch Sarus crane and other birds. Sarus crane is the largest flying bird on the earth. Day 11: Drive to Pokhara. Exploe the Phewa Lakeside in the evening. Day 13: Another day of birding around Phewa Lake and nearby Raniban forest. Day 15: Drive to the airport for final departure. 10 day Bardia & Chitwan tour. 1 hr sightseeing flight to Mt. Everest is the best way of capturing 5 out of top 10 highest mountains in the World. 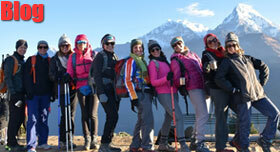 Kathmandu is surrounded by beautiful mountains offering wonderful hiking of a day or two.